I adore these little birds and I think you will, too. 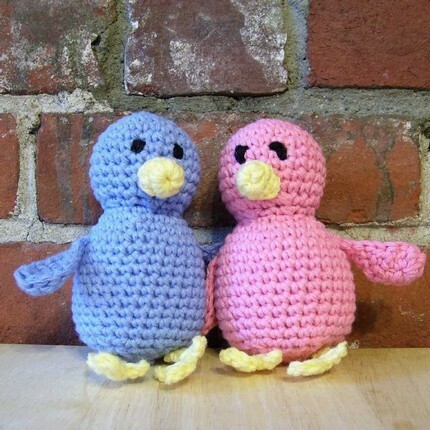 This is a crochet pattern in .pdf format for making one of the birds pictured. It’s easy to follow but does require that you’re familiar with single, half double, and double crochet (US notation). Knowledge of single crochet decreases is helpful, but how to do one is described. You’ll need a small amount of worsted weight yarn, a F (3.75 mm) hook, and the stuffing of your choice. The finished bird stands approximately 4.5 inches (11.5 cm) tall. Sale of finished items is allowed.